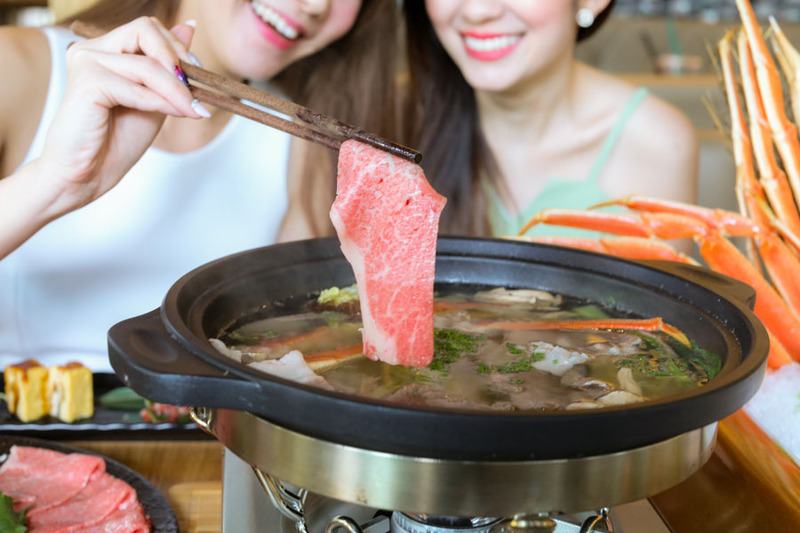 How does all-you-can-eat Japanese hotpot with unlimited servings of Miyazaki Wagyu Beef, Premium Queen Crab, and Iberico Kurobota Pork sound? 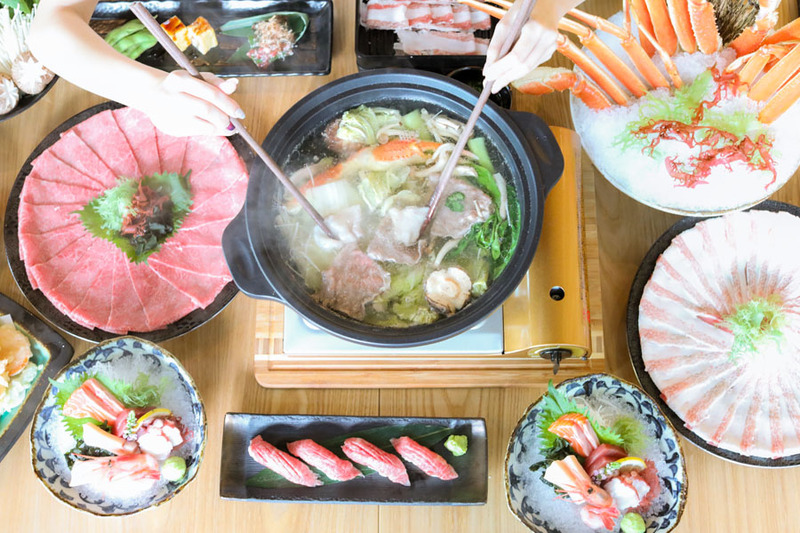 EN Sakaba is a modern Izakaya offering authentic Japanese fare for lunch and dinner, and has introduced a delectable Japanese Hotpot Buffet for a limited period only. Operating 4 outlets in Singapore, its flagship store is located in the 52-storey Capital Tower in the Shenton Way-Tanjong Pagar financial district. 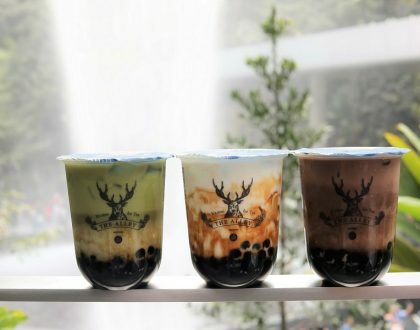 The other 3 branches are at JEM, Clarke Quay, and Orchard Central. 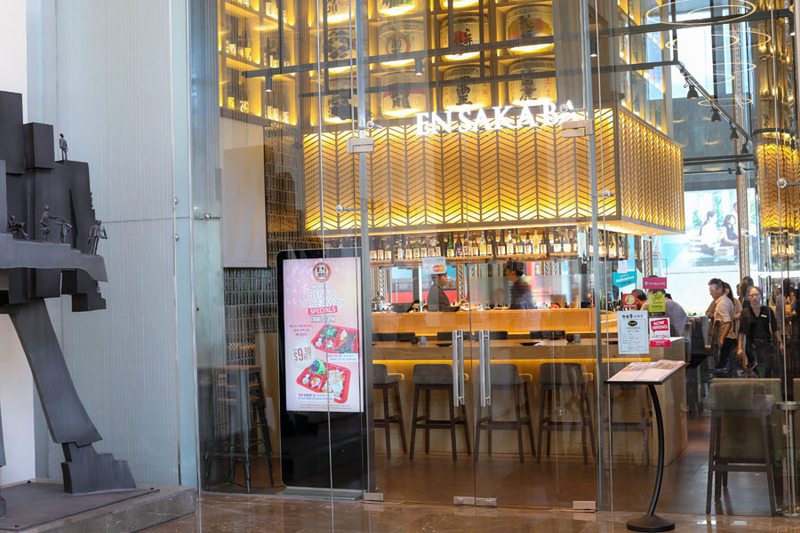 This brand is anchored on 4 pillars: Izakaya. Sake. Wine. Bistro. 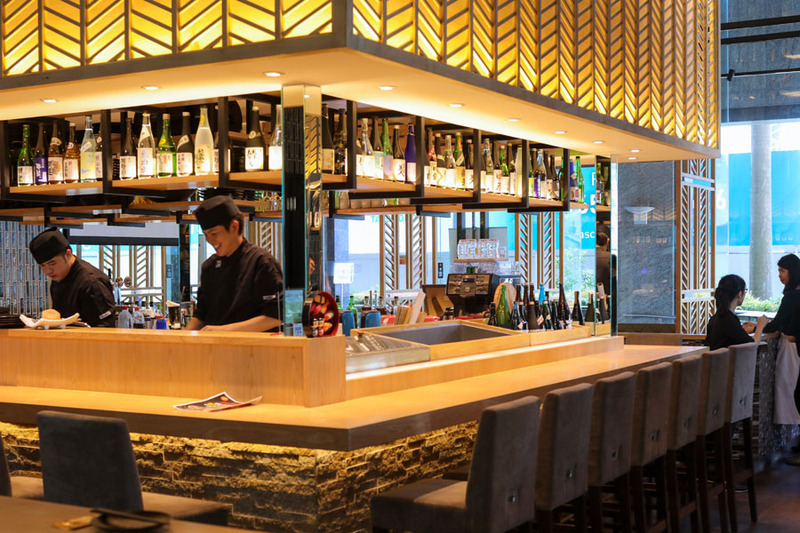 Its concept falls somewhere between a tachinomiya (standing bar) and izakaya (bar with seats). “Sakaba” is Japanese for “bar”. Founder & Managing Director Raymond Ng reveals and takes pride in their ingredients, which come from the finest sources direct from Japan. All meats used in the restaurant undergo limited handling and processing during delivery so they remain fresh. Tired of the usual and yearning for an unforgettable culinary experience? Well, you’re in for a treat. 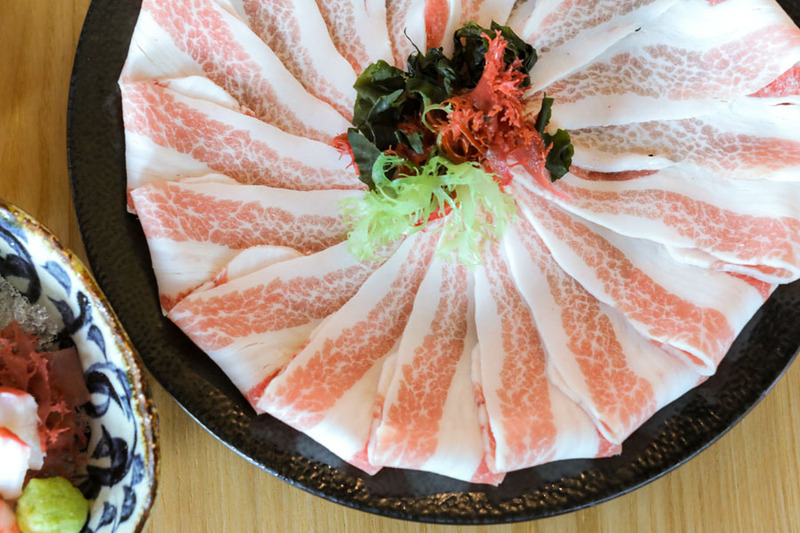 EN Sakaba is one of the few restaurants carrying the award-winning Grade A5 Champion Miyazaki Wagyu. For a limited time, the Japan No. 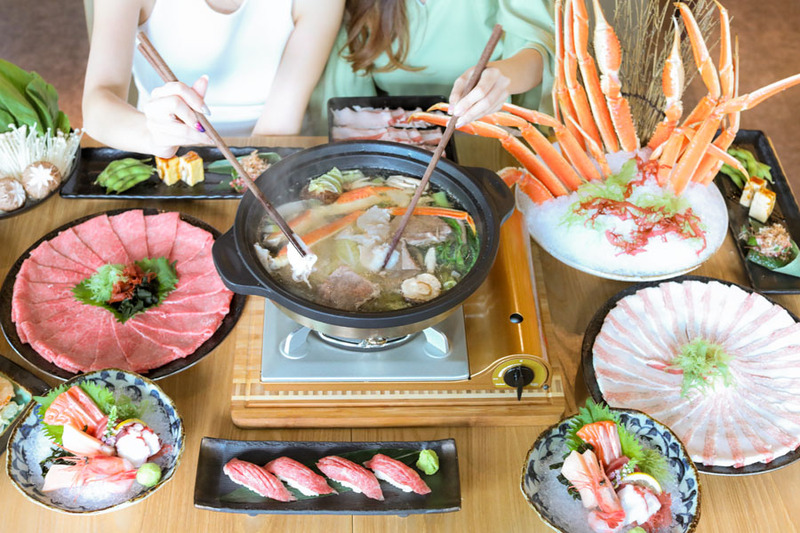 1 Miyazaki Wagyu & Premium Queen Crab Hotpot 90 Minutes Buffet is available for only $78++ (usual price $108++ per pax). A lighter version of this, without the buffet is also offered. 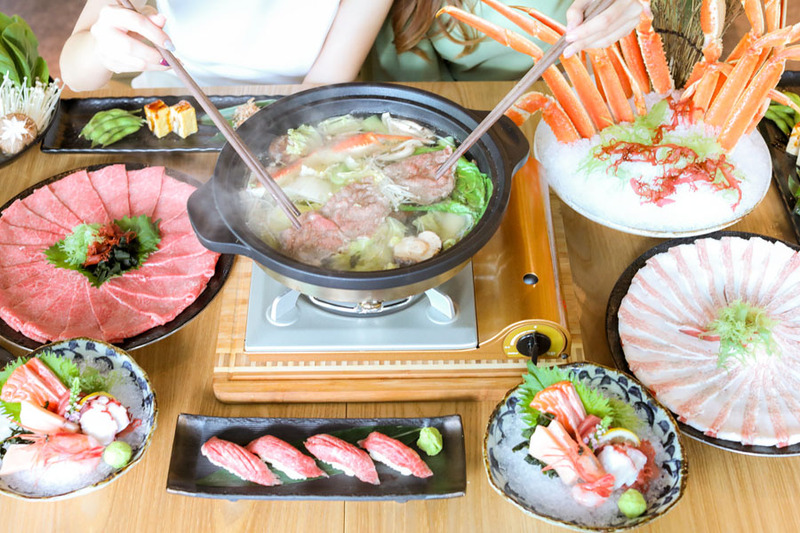 You can have the Miyazaki Wagyu & Premium Queen Crab Hotpot Set at $58++ per pax (U.P. $88++/pax). To earn the name “Miyazakigyu”, the wagyu beef must at least meet Grade A4. 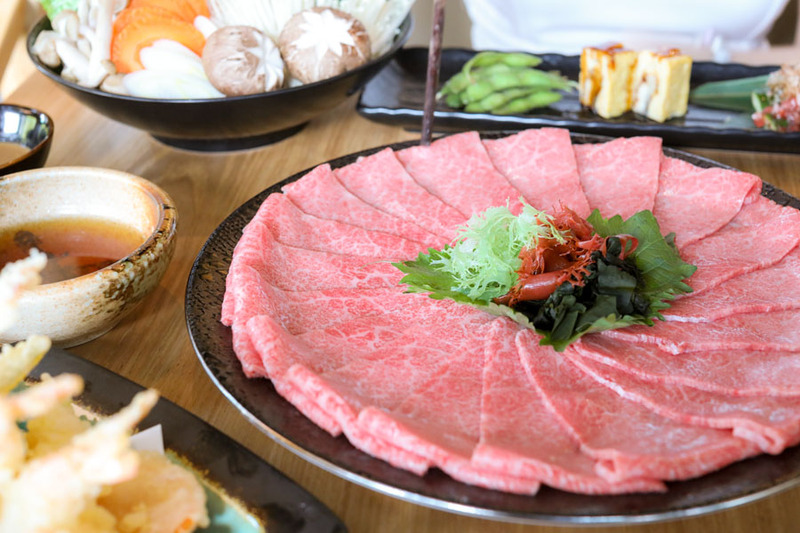 EN Sakaba goes beyond and offers you A5 Wagyu Beef from Miyazakigyu in Japan, directly from ranch to plate. This hand-selected beef passed 5 requirements in all key grading categories. It is the crème de la crème, winning 1st place in the 9th and 10th Japanese Competitive Exhibition of Wagyu. Just check out that beautiful cherry red colour and marbling. Its melt-in-your-mouth texture and great dense meat taste was absolutely satisfying, so that it didn’t need any of the additional ponzu and goma sauces given. Just a note: be careful not to overcook the beef as it just needed light swishing in the hot broth. At first we thought that there could be just too much food, but my petite-sized female friend actually finished 3 quarters of the wagyu slices ON HER OWN. 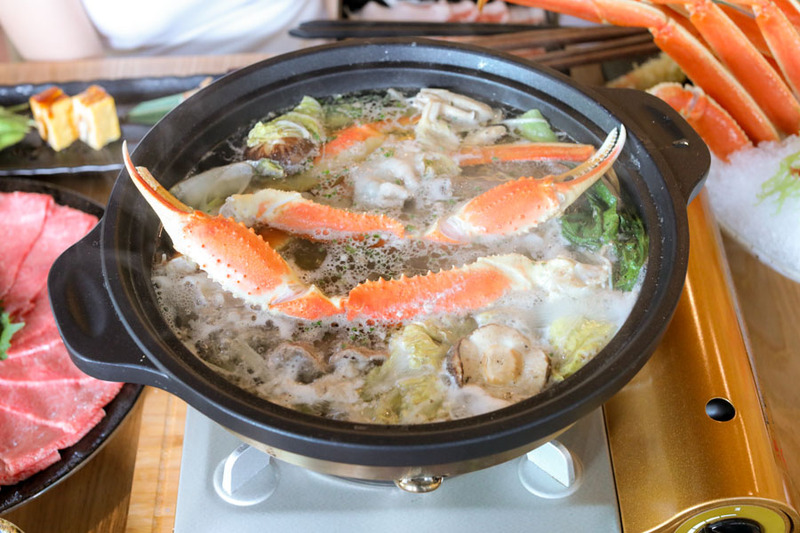 Another highlight of this hotpot buffet is the free flow premium Queen Crab. This was my absolute favourite. 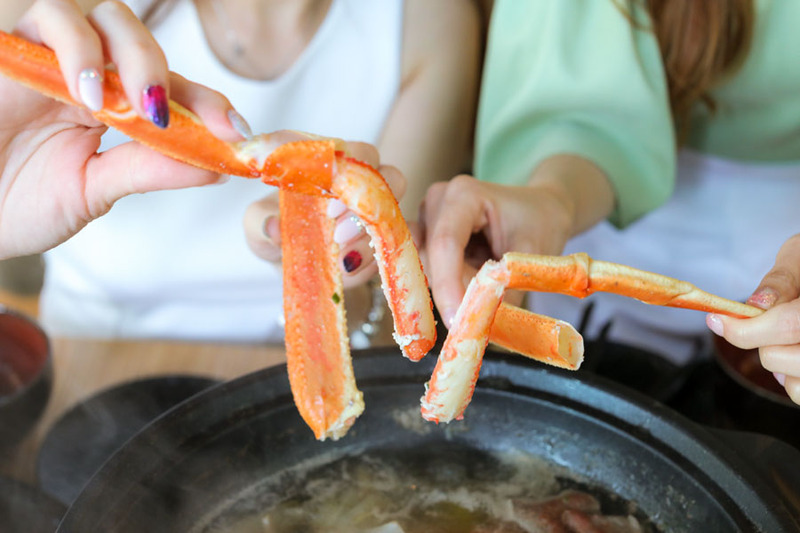 The Queen Crab claws which just needed light-boiling, had fleshy so sweet, succulent and juicy. What was also great was that the legs were cut into sections at the joint, so that the flesh could easily be pulled out. When cooked with the dashi bonito broth, the crab imparted delicate yet intense (I know, oxymoron?) flavours to the slurp-worthy soup. Kurobuta (“black hog” in Japanese) comes from the Black Berkshire pig, and is renowned as the highest quality pork in the world. 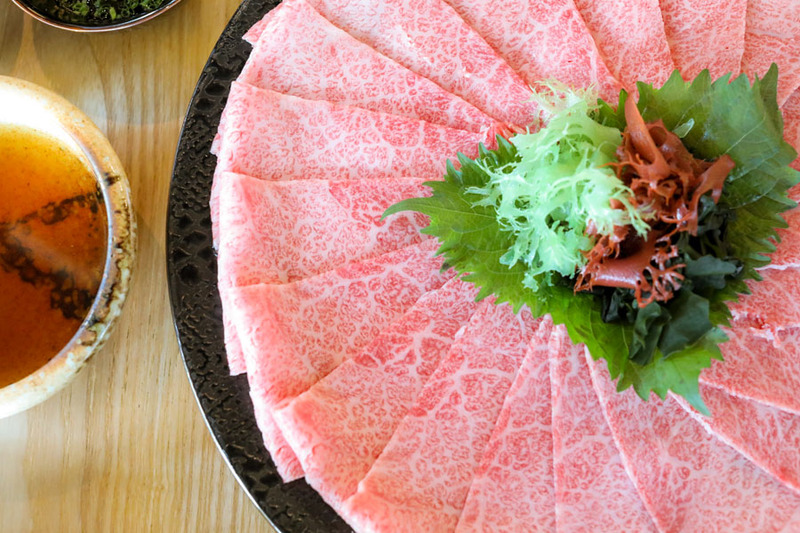 This pork, often called the “Kobe beef of pork”, looks and tastes like no other. Its rich marbling, melt-in-your-mouth tenderness and nutty flavour was also divine. Also available in unlimited servings so dig in. 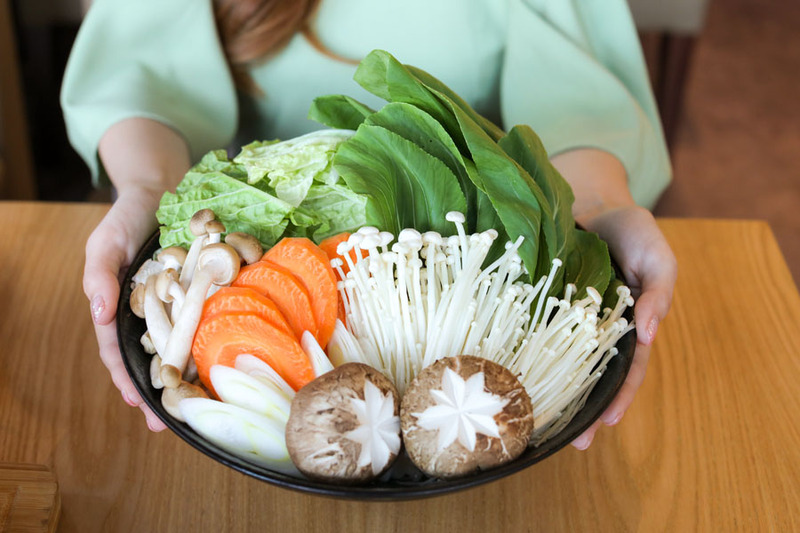 Add colour, flavour and vitamins to your stock with assorted mushrooms (shiitake, enoki, button), carrots, and bokchoy. You can add as much as you like. You start off the buffet with a one serving of 3 Kind of Appetizers. What you get differs as they are seasonal in varied textures and flavours but all fresh. Starting with these will ease you into the heavier courses. 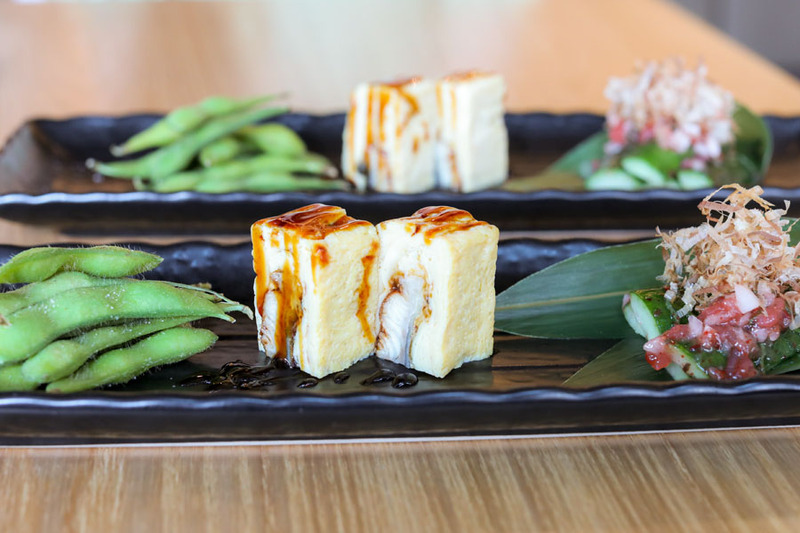 It could be anything from tamago, jelly fish to cucumber with plum sauce or edamame. You get the picture. 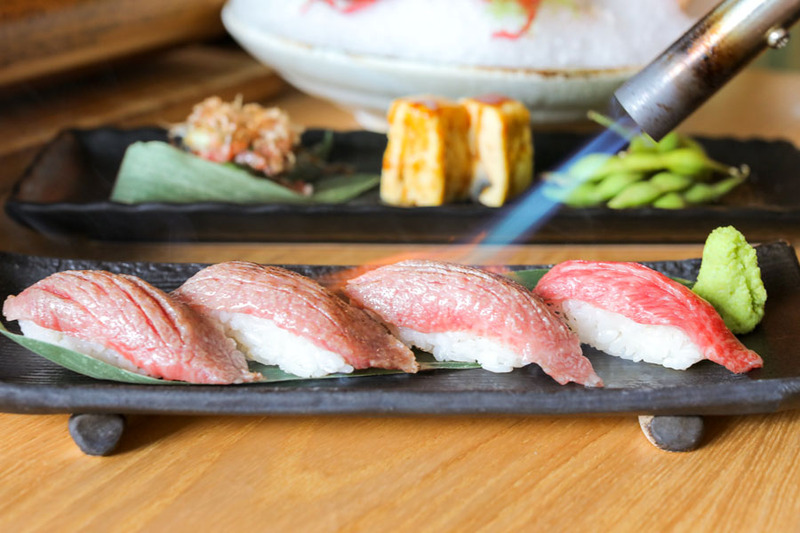 A portion of that marbled Miyazaki Wagyu on sushi, torched aburi-style for that extra rich and smoky flavour. 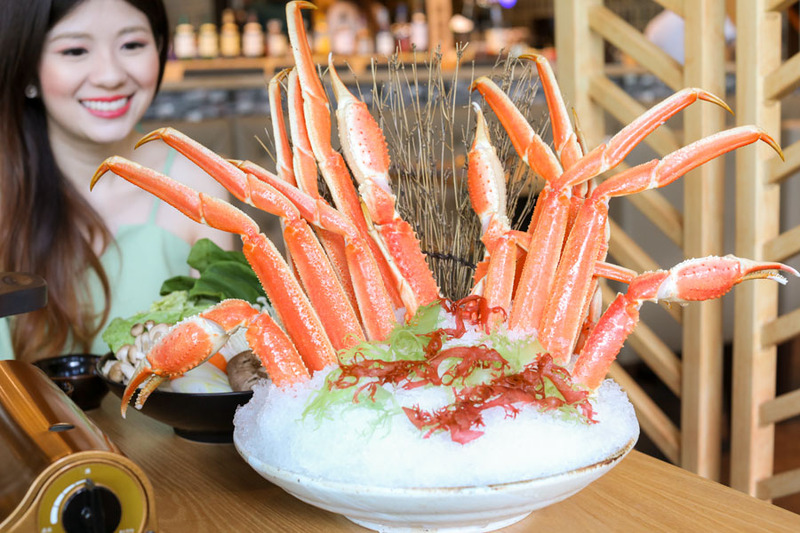 The 3 Kinds Sashimi Platter (you likewise get one serving of this) features seasonal fish and seafood. 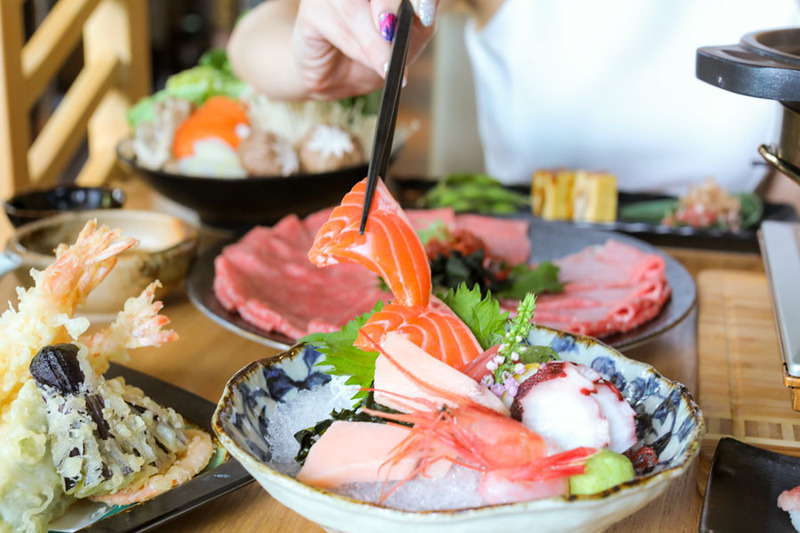 Titillate your taste buds with thick-cut salmon, tuna & prawn sashimi, charmingly presented on a bed of ice to please your eyes. 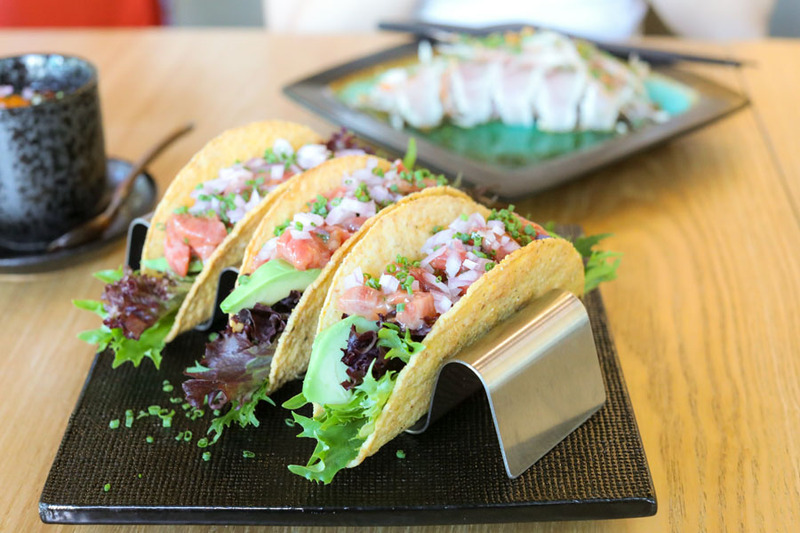 DFD Special: Quote ”DanielFoodDiary and get 5 types of sashimi instead of the usual 3. 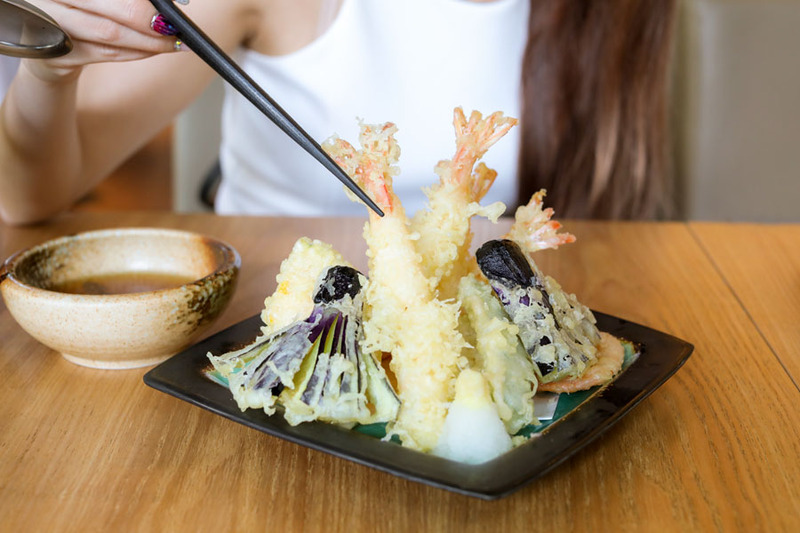 Just when you thought that is all… A Japanese buffet is never quite complete without some crunchy tempura. The buffet comes with a serving (1 plate, not unlimited) of prawns and assorted vegetables (eggplant, sweet potato, pumpkin) coated with a light batter mix and deep-fried until golden. Served with a bowl of Tentsuyu dipping sauce. 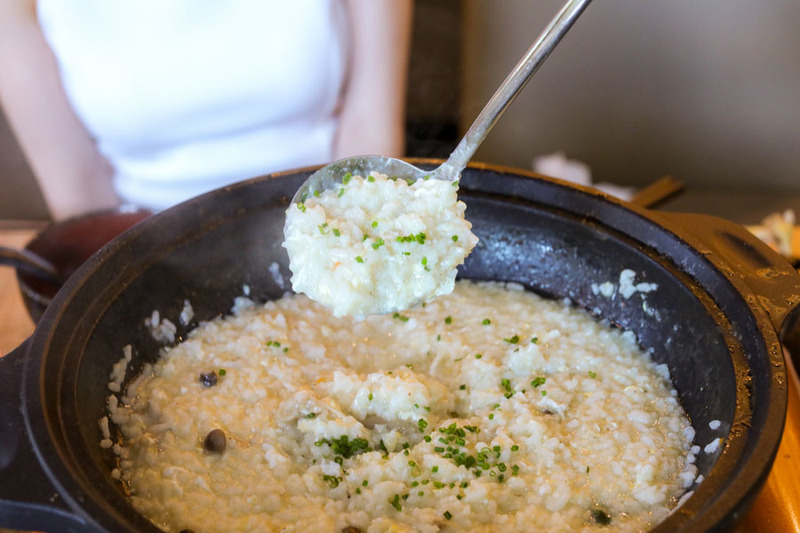 The ‘beauty’ at the end of the meal is when you use the remaining hotpot stock to cook some Japanese porridge or udon. 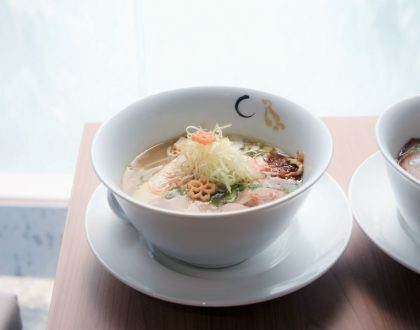 That is when you immerse the pearl rice grains (or udon) with egg into the rich flavourful essence of the after-broth to conclude your meal. End your feasting on a sweet note with you are a serving of Häagen-Dazs Ice Cream. 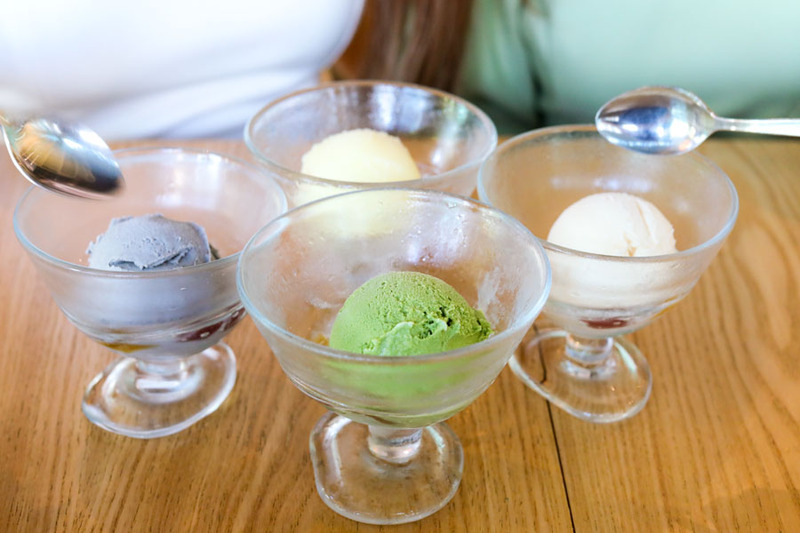 Pick from Green Tea, Goma Black Sesame, Yuzu or Vanilla. The Japan No. 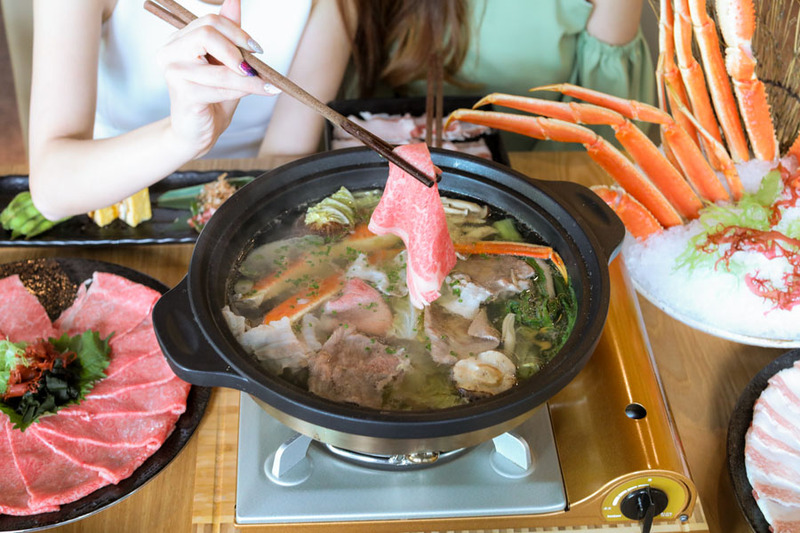 1 Miyazaki Wagyu & Premium Queen Crab Hotpot Buffet is available for a limited period only, and exclusive at Capital Tower #01-10 and JEM #01-04 outlets. – For Capital Tower: Mondays to Fridays after 5pm and whole day on Saturdays. – For Jem: Whole day from Monday to Sunday. – Valid with minimum order for 2 pax. Please make a reservation for group party. – Prices are subject to prevailing GST and service charge. – Management reserves the right to amend terms and conditions without prior notice. 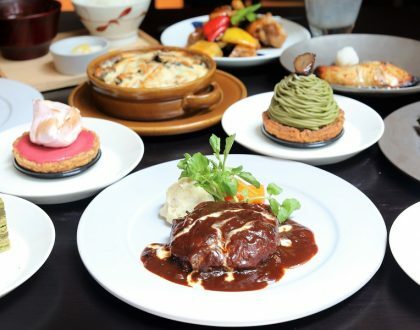 – Valid for dine-in and duration is maximum of 90 minutes only. 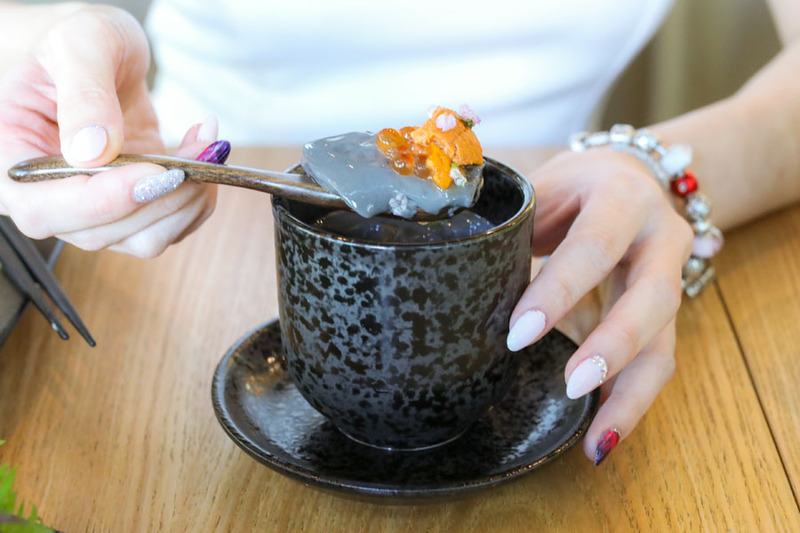 Besides the premium buffet, EN Sakaba’s menu boasts of a range of delectable a la carte dishes such as Salmon Ikura Don ($19.80), Negitoro Don ($22.00), Hotate, Uni, Ikura and Caviar Don ($33.00) and Tai Truffle Chirashi Don ($27.50). 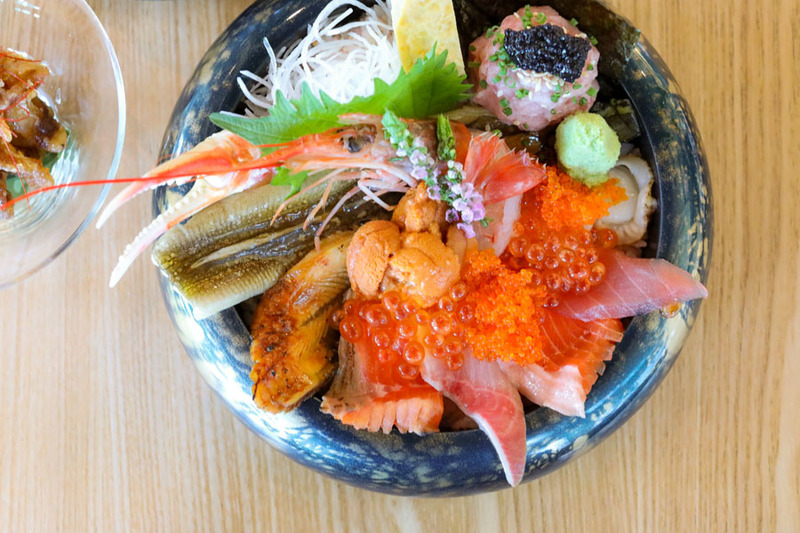 The recommended is the En Kaisen Chirashi Don ($33.00) which contains whooping 15 kinds of sashimi such as zuwai kani, uni, caviar, negitor, ikura, aka ebi, hotate, unagi, maguro, aburi salmon and more on En’s signature pink sushi rice. 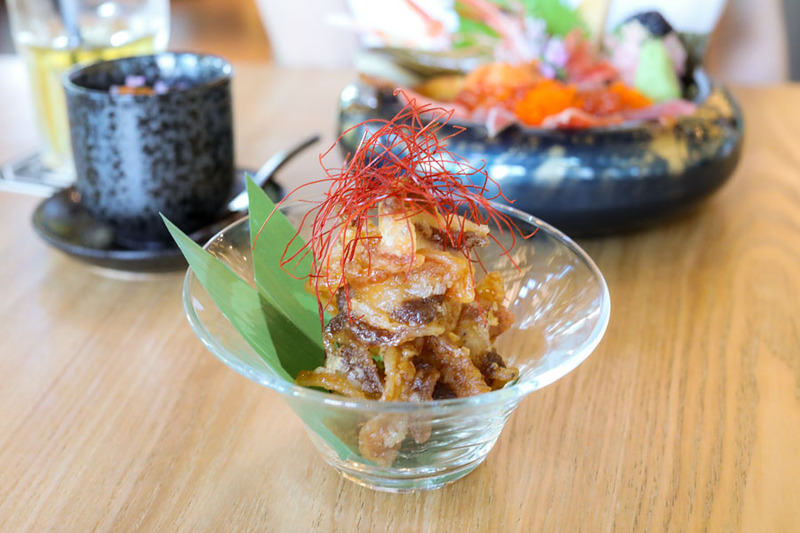 Known for its drink menu featuring 30+ types of Japanese sakes in various grade, you can appreciate the range of high-quality sakes that pairs very well with food. 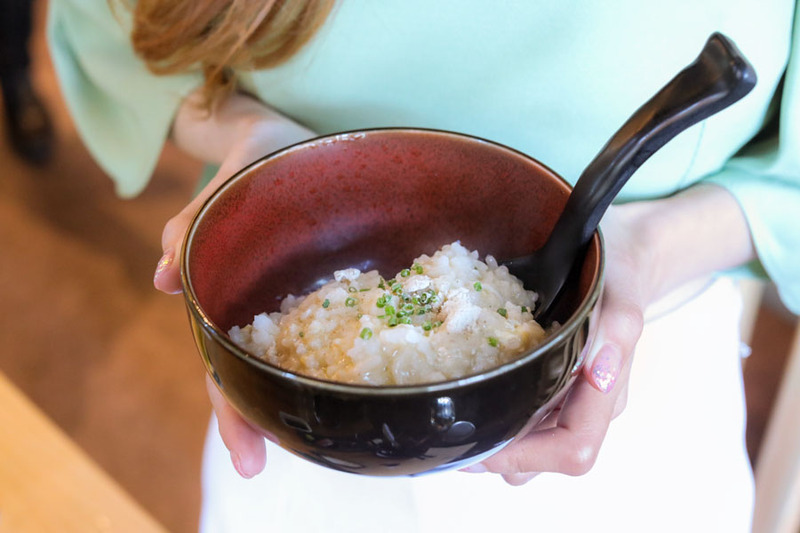 Sake brings out the “umami” of Japanese cuisine. As the Japanese proverb goes: “Nihonshu wa ryori wo erabanai”, which means “sake doesn’t get into fights with food”. 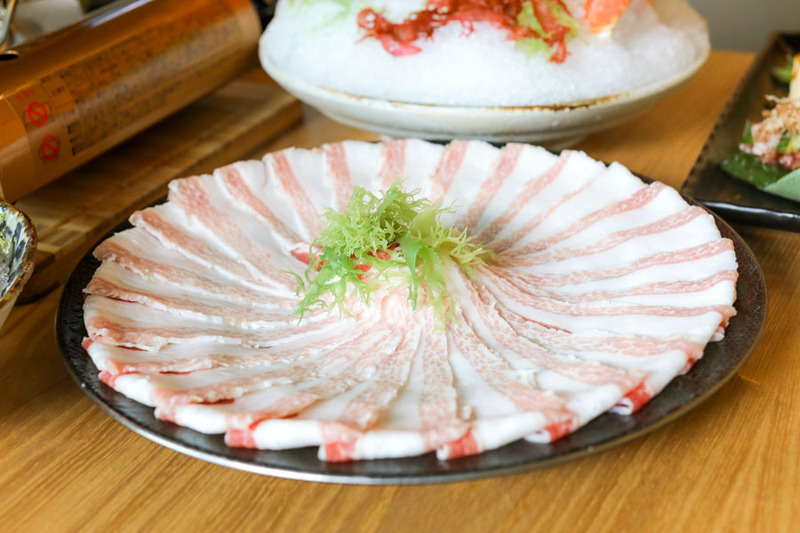 EN Sakaba is recommended as an after-work tippling spot, especially with its enticing Japanese tapas best such as Miyazaki Wagyu Avocado Tartar, Maguro Tataki, Iberico Pork Senbei, and Ikasumi Chanwanmushi – a special black squid ink steamed egg. 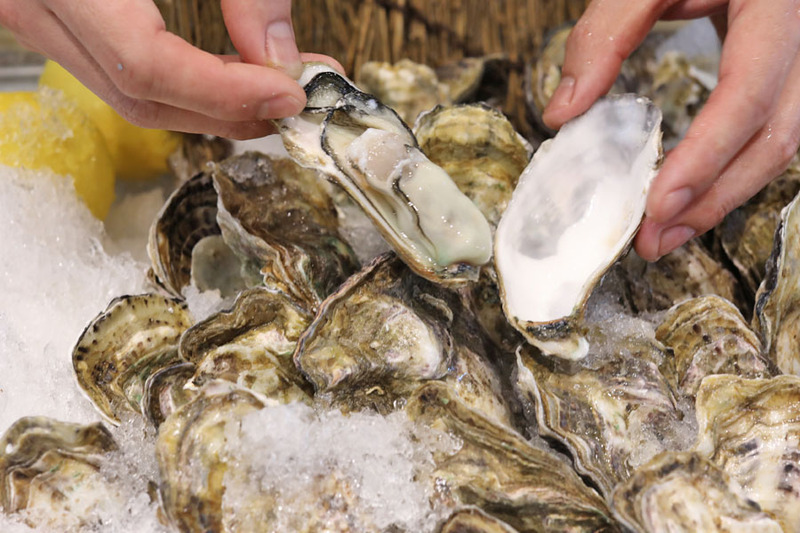 Oysters are also their latest addition to the menu, selling at $18/half a dozen (U.P. $3.50/pc). Paired with your favourite beer or sake. * This entry is brought to you in partnership with EN Sakaba.